(MEIviowit) - A sport of the ever popular Pierre de Ronsard. 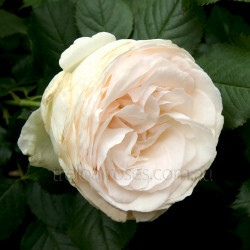 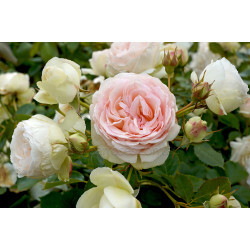 Beautiful old fashioned creamy white flowers bloom constantly and carry a mild classic rose scent. 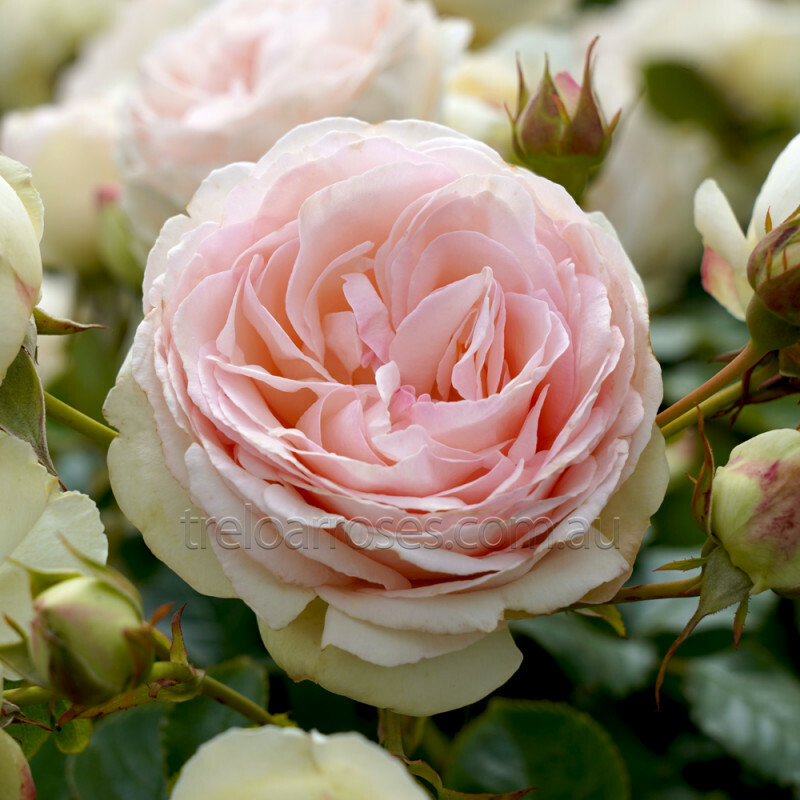 During the cooler weather the blooms often retain a delicate light pink hue. The abundant foliage is lush, glossy deep green and healthy. 3m x 2m.